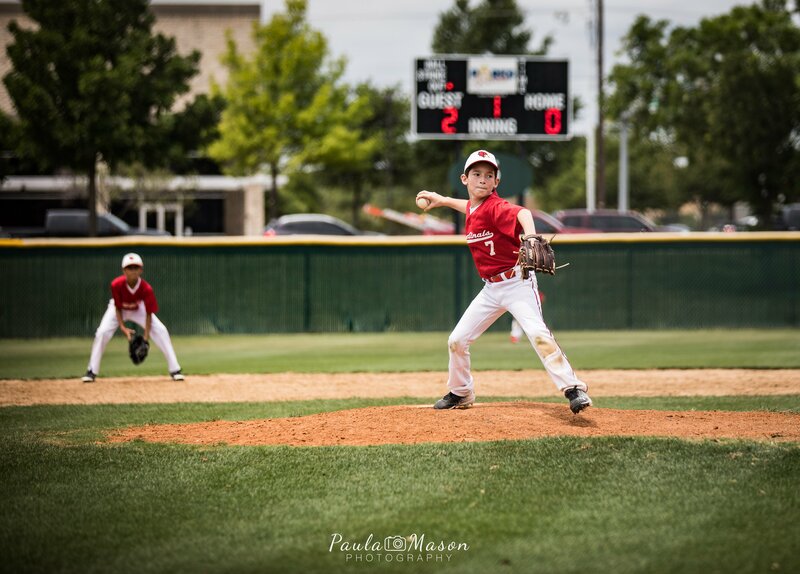 Team pictures for my son’s baseball team! I was so excited I was asked to take these pictures. I had been taking action shots all season, and now I was excited to try my hand at team pictures. Easy enough, right? Well…I wouldn’t call it easy, but I survived it, and each time I tackle a task like this, I learn something new. I asked the boys to arrive 1 hour before game time to take team and individual pictures. Plenty of time, right? It would’ve been, if the empty field was actually empty! We play baseball every Saturday at the same place, and every Saturday, there is one empty field. Guess what…on this particular Saturday, there was a team using this field for practice! Not bad, right? But…look closely…we have a crooked belt, some crooked hats, and one with sunglasses on. I think I would’ve noticed this stuff if we hadn’t been dodging pop flies. I will definitely pay attention next time. So, I scrambled around trying to think of an alternative, and my husband and I decided on the green fence in the outfield. We asked the coach who was practicing if he minded us being out there taking pictures, and his reply was “No. Just don’t get hit by a ball.” Okay! We can do that. Lucky for me, I had my friend along to help me line up the boys just right up against the fence. I didn’t realize that the team practicing could actually hit the balls out to the fence, so we were constantly dodging pop flies hit into the outfield. It made for an exciting 20 minutes. I also took a “batting” photo of each child to drop in to a little baseball card with their stats on it. Lessons learned: Plan ahead. Make sure the spot where you want to take the team photos will actually be available. Find a spot that will not have so many interruptions (like pop flies). Make sure you look carefully at each player – is their hat straight? Is their belt straight? Are they smiling? It’s the little things. Also, be sure you have a particular pose in mind. Do you want the bottom row kneeling? Do you want them sitting on the ground? These are things that are best thought out before-hand. P.S. One more thing I learned – – always take WAY more pictures than you need. It’s easier to delete than to go back and try to take more! 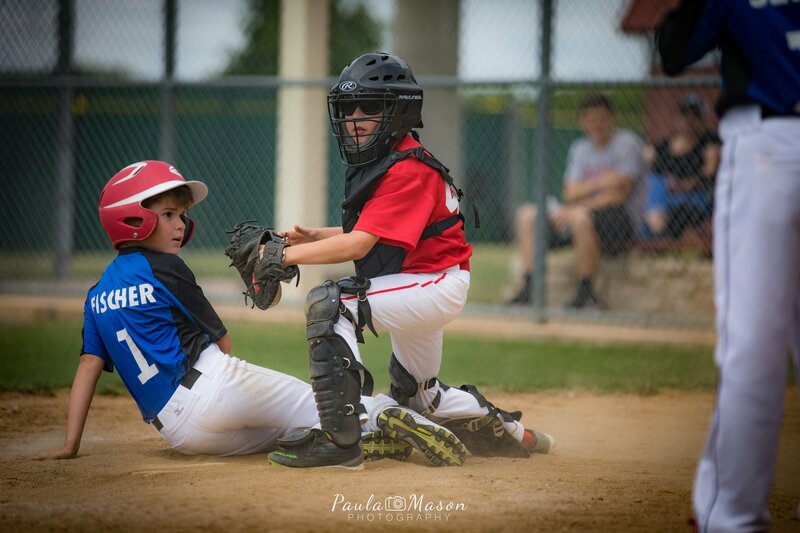 Just happened to be focusing on the catcher when this play happened at the plate! There's my boy doing what he loves! 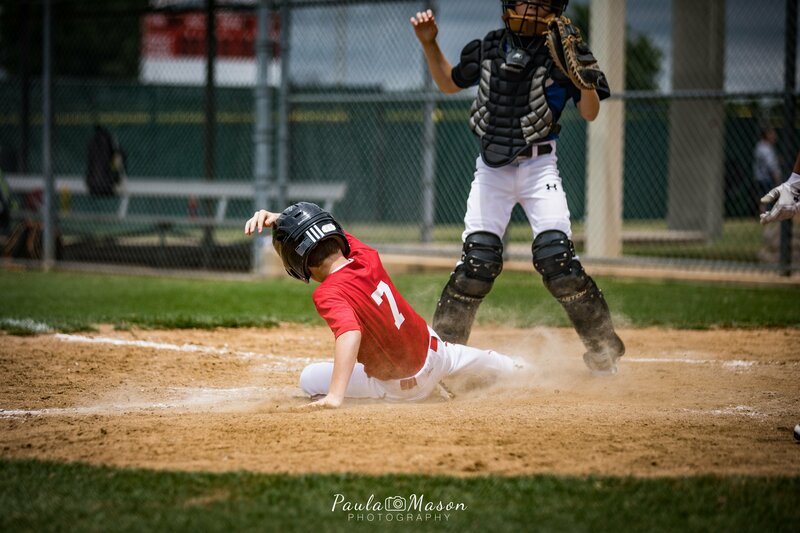 I figured my #7 would steal home, so I kept my camera focused on the plate. Sure enough...he stole home!